The King of Kensington gets some Gotham-style vandalism. 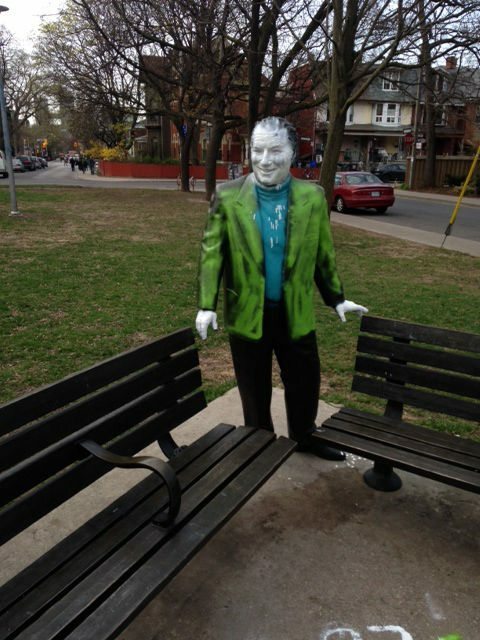 WHAT: This bronze statue of actor Al Waxman has been Jokerized. Waxman played the title character in the 1970s TV show King of Kensington and received the Order of Canada in 1998, before passing away in 2002. The purpose behind the Jokerizing of Waxman’s statue is unclear—although it’s possible someone just really missed Halloween costumes from 2008.